ACTS 2 is an adult fellowship group at St. Andrews Parish UMC. Inspired by Acts 2:46-47, the group endeavors to bring together Christians of all ages for activities, trips and service initiatives. 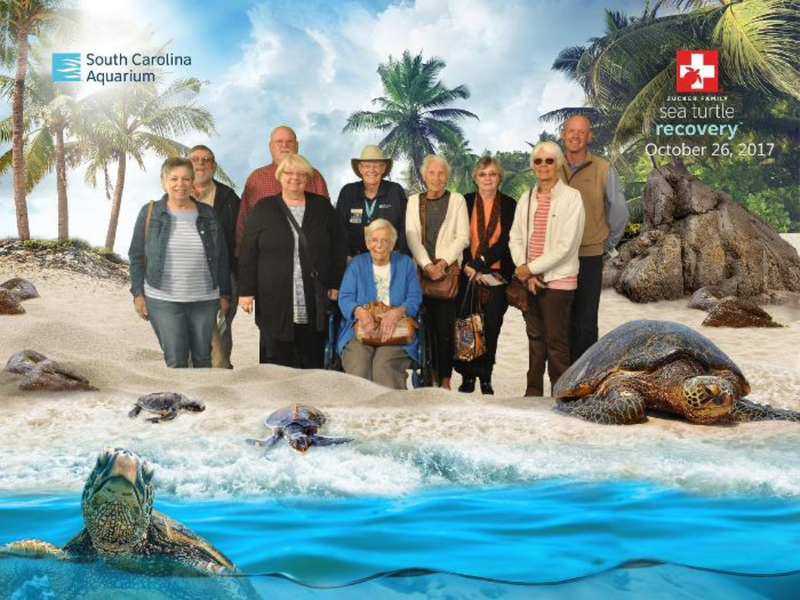 ACTS 2 traveled to the SC Aquarium last week and indulged in a special behind the scenes look at the sea turtle exhibit there. ACTS 2 will visit the Mepkin Abbey Creche Festival Thursday, November 30th. This trip is open to church members and guests, and transportation (from the church parking lot to Mepkin Abbey) will be provided. Please email Miriam Hunter to learn more! Our senior fellowship group has been busy, busy, busy this spring! In April, they visited The Center for Birds of Prey for a facility tour and flight demonstration. Afterward, the group enjoyed lunch at Sewee Restaurant. Transportation was provided to and from the center (thanks to faithful pilot Pastor Brad). 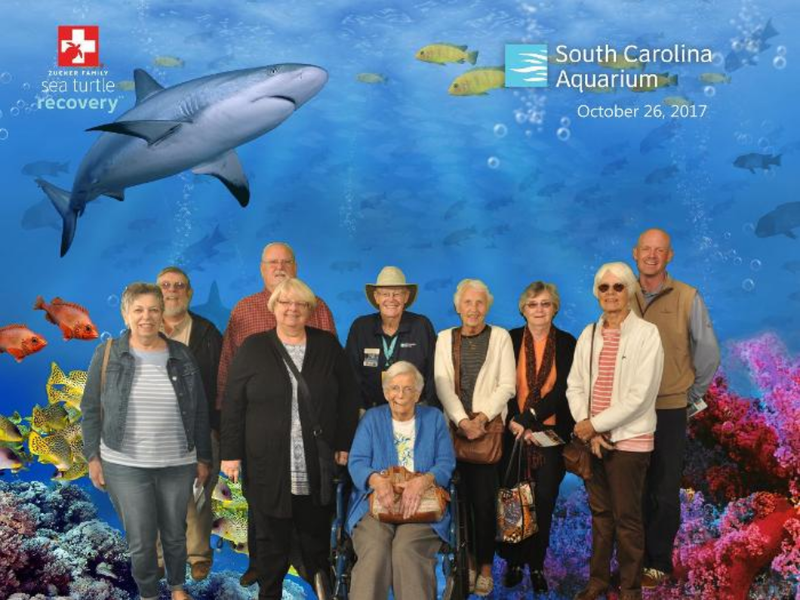 This month, our seniors toured the Charleston Museum and enjoyed a delicious lunch at Bertha's Kitchen, which recently received the prestigious Beard Foundation Award. Senior fellowship will take a hiatus over the summer, and activities will resume in September (on the fourth Thursday of each month). Activities include field trips, board game days, lunch outings and more. Members and non-members, young and old alike are welcome to attend! Senior fellowship activities are organized by Miriam Hunter and Cindy Walden, and they would love to get some congregational input! The group is seeking a new name that will inspire multigenerational fun... If you have group name or activity suggestions, please submit them below.